From the beginning, your project will be assigned to a Good's Customer Service/Technician Team. Your team will simplify the buying process, then follow your project throughout production and completion. You can expect a prompt reply to all your questions and rest assured that your team is looking out for your best interests. For more than a century, Good Printers has provided the best in service and products. We combine our traditional values and long-standing expertise with the latest in technology to provide the highest quality possible. 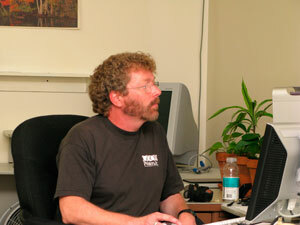 Your project will move smoothly through the proofing stages. Good's pre-production and digital imaging departments boast the latest in hardware and software to ensure accuracy and expediancy for your project. Our technicians are ready and willing to help you find solutions to any technical questions you have. 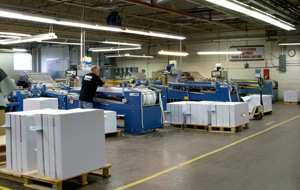 Our press capabilities can competently handle print projects ranging from one to six colors and up to 40" in sheet size. Our press operators are masters at their craft, delivering award-winning printed materials with the highest standards in color and coverage. From folded brochures that perf to saddle-stitched annual reports, Good's provides an array of in-house finishing procedures to wrap up your completed project. 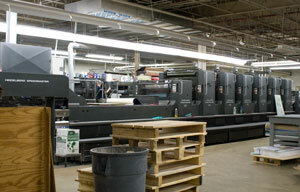 In conjunction with our print capabilities, Good's offers efficient and cost-effective mailing services. Our state-of-the-art hardware and software systems are designed to get your mail campaign in the mail quickly while maximizing your postage savings. Good's own fleet of drivers can deliver your project to your door. 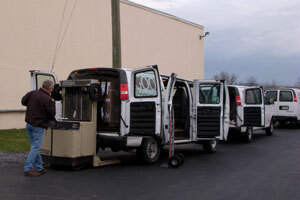 We can deliver large projects to a loading dock or to numerous post office facilities as part of our mailing services. Or we can ship your product anywhere nationwide via the transport system of your choice. With Good Printers, your project isn't finished until it's in your hands. Our affordable pricing will open a wide spectrum of options for your project. So go ahead - dream big. We'll take you wherever you want to go.